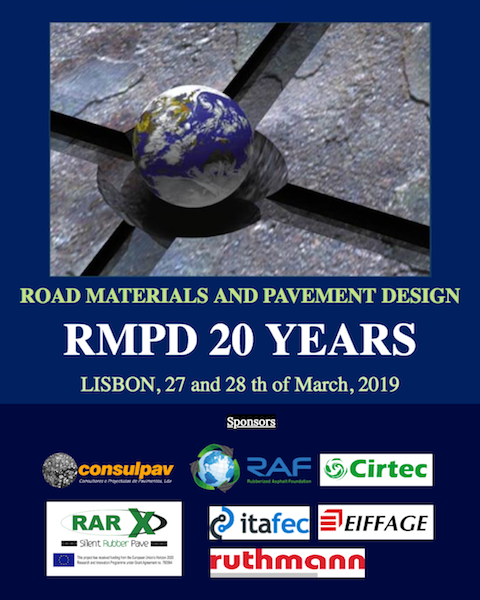 CIRTEC sponsors the Congress “Celebrating 20 Years of Road Materials and Pavement Design publications”, that RMPD will hold next March 27 and 28 in Lisbon. The Chief Editors and the Members of the Associated Board will make presentations on the latest research in their fields. RMPD award papers will also be presented by their authors. Undoubtedly, a prestigious event with key members of our international research community.